While the Targaryens and Baratheons wouldn't come until much later, the Age of Heroes did see the origin of a number of Westeros' Great Houses. 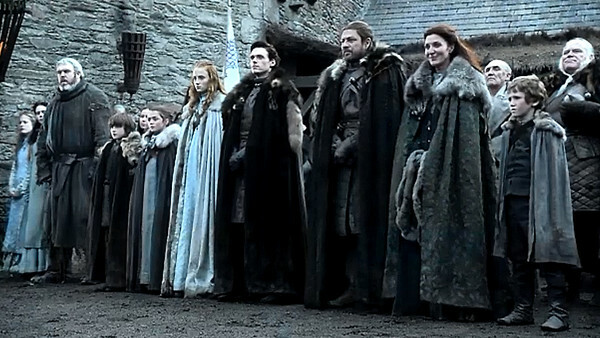 It's to this point the founding of the Starks and Lannisters can be traced, down to Bran the Builder and Lann the Clever, as well as House Durrandon - whose sigil and words would eventually be taken by the Baratheons - and House Gardener, who ruled the Reach from Highgarden long before the Tyrells. Seeing how these houses came to be in the earliest years, rather than the way we've simply accepted them as being, would be a fascinating bit of history to see unfold, and bring with it a few surprising reveals, such some houses not being as great or noble as we once thought.